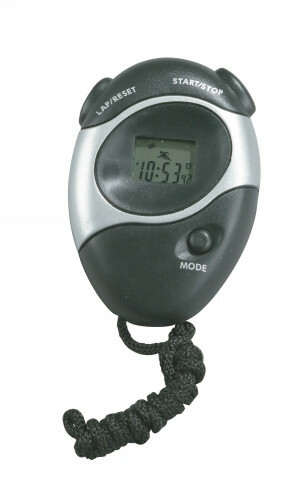 This water-resistant digital stopwatch features a large display. It times up to 30 minutes in 1/100 second, then up to 24 hours in 1/10th second in a single event or split timing. It also shows month, date and day.